'A dog story that doesn't fail to amaze.' Miranda Hart, bestselling author of Peggy and Me'I laughed and cried. 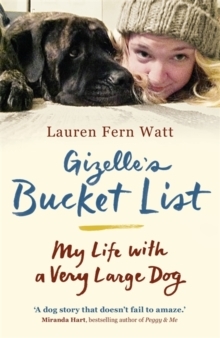 Everyone reading this will be touched by Lauren's amazing bucket list adventures with her dog Gizelle.' James Bowen, bestselling author of A Street Cat Named Bob and The World According to Bob'An inspirational and uplifting experience that will make you feel anything is possible.' 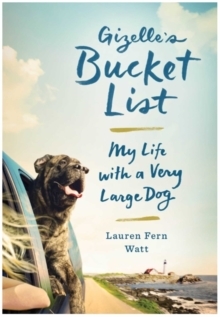 ElleThrough the most important times of her life, Lauren's big beautiful English mastiff Gizelle had always been there for her. She was there through the choppy waters of her first relationship, and by her side through the painful reality of her mother's addiction, and when she finally left home for New York she was there to fill up her tiny Manhattan apartment and become her enormous, pavement-hogging, snuffly best friend. So when Lauren discovered the shocking news that Gizelle had a life-threatening tumour, she designed an epic bucket list to make the absolute most of the time they had left together. Their heartwarming adventure will change her forever and provide her with the best lessons she could ever learn for her life ahead.